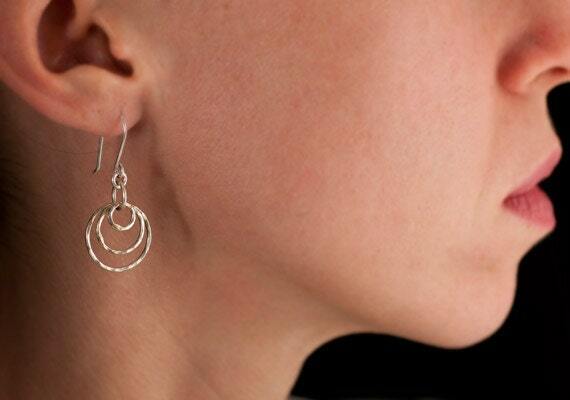 Handmade Sterling Silver Earrings- Hammered Silver Hoop Earrings- Dangle Earrings- Modern Silver Jewelry - "Circle Trio"
These argentium sterling silver hoop earrings are a union of three hammered circles. 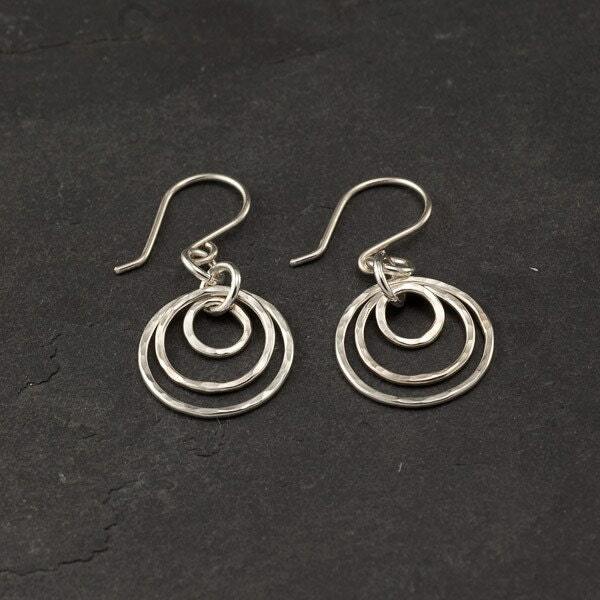 The subtle hammered texture makes the hoops glisten in the light. They are incredibly lightweight and make the perfect accessory for any occasion- sure to be your new favorite hoops! 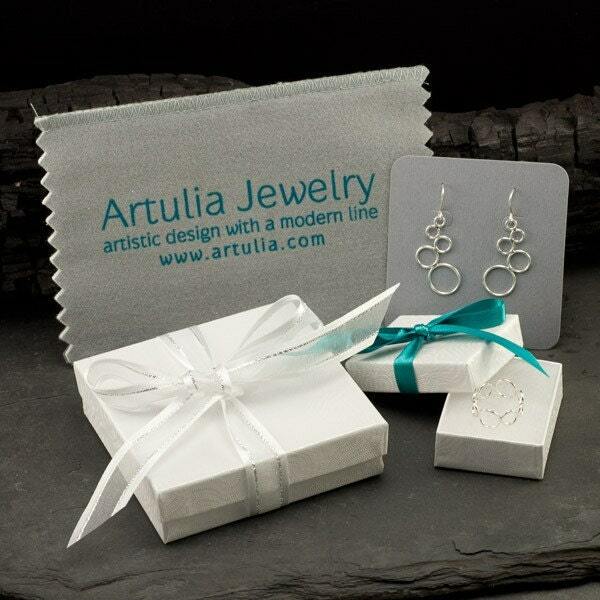 Argentium Sterling Silver is a naturally tarnish resistant Sterling Silver. 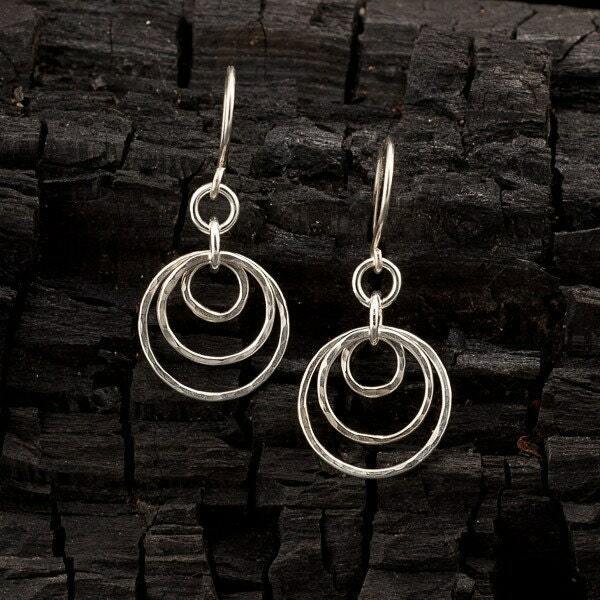 Great silver work-love the motion of the circles-the hammering add so much shine and sparkle as the light hits them-a gift for my sister-she will love them! Thank you. These earrings are well made and beautiful. They can be worn with both dressy and casual outfits. I'm so glad I purchased them! I love these earrings. The soft jingle each time I move my head makes me smile. This is the second pair I have purchased from this shop and I am very happy with the quality craftsmanship of the products. I will be buying more, possibly for Christmas gifts. Beautiful! Very happy with my purchase. 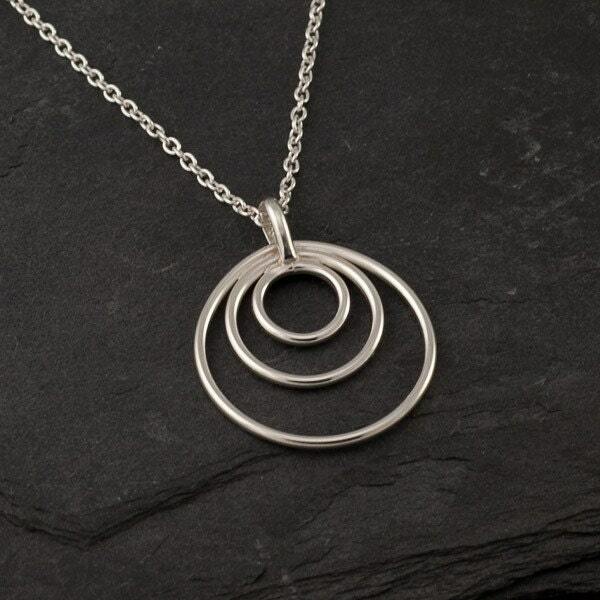 Item shipped quickly and are extremely beautiful!